The same poll that showed former Premier Alison Redford with a 75% disapproval rating also showed urban Albertans have huge confidence in the leadership of their big city mayors. 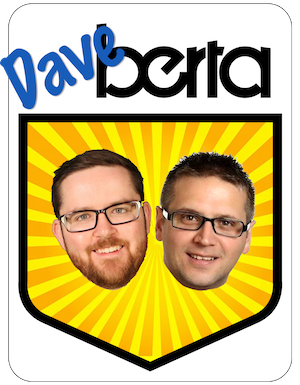 Previously unpublished questions from the same poll conducted by Marc Henry‘s ThinkHQ and provided to daveberta.ca showed Edmonton mayor Don Iveson and Calgary mayor Naheed Nenshi with 70% and 71% approval ratings. With Ms. Redford’s resignation sparking a leadership vacuum at the provincial level, Albertans in Edmonton and Calgary have confidence in the leadership of their mayors and councils. The poll also showed 58% percent approved or strongly approved of Edmonton City Council and, in Calgary, 60% approved or strongly approved of their City Council. Elected on a wave of change and optimism in October 2013, Mr. Iveson recently navigated choppy provincial waters to squeeze a major LRT commitment from a provincial government that seemed to leave its capital city in the lurch. 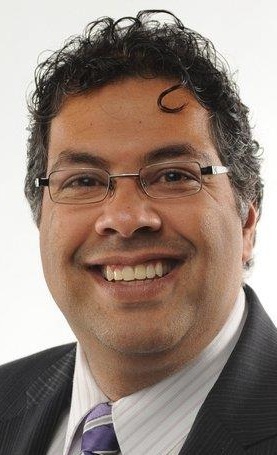 Leading Calgary through the largest flood in recent memory, Mr. Nenshi has helped redefine what it means to be a big city mayor. And he is no slouch. He has remained focused on creating a balanced approach to dealing with the city’s growth challenges while taking on wealthy suburban developers, who declared war on him before his landslide re-election. The two mayors have many common interests and their cities are facing many of the same growth challenges, but Calgary, Edmonton and Alberta’s other cities are very different political environments. Urban Alberta is not a monolith. 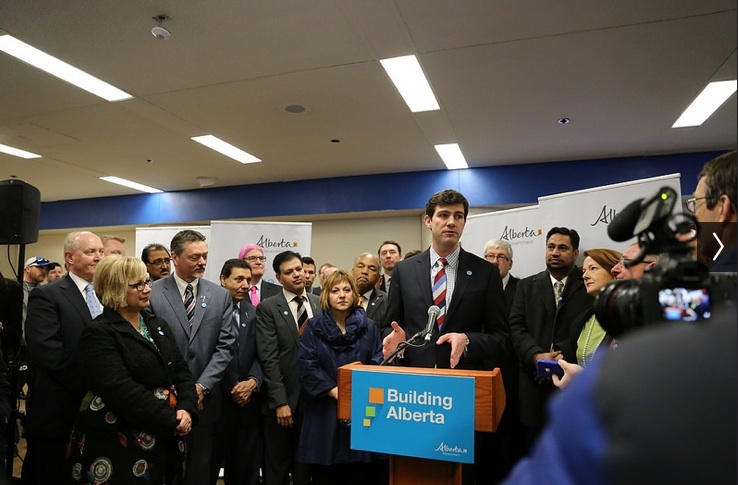 As the Progressive Conservatives scramble to choose a new leader, Mr. Iveson and Mr. Nenshi are well-positioned to drive an urban agenda for Alberta. Their political strength and high approval ratings will make it difficult for the next PC leader and whoever becomes the premier after the next election to ignore the concerns of urban Albertans. The survey was conducted from March 10 to 16 though ThinkHQ’s Voice of Alberta and Vision Critical online research panel. The sample size included 534 Calgarians and 405 Edmontonians with a margin of error of +/- 4.2% and 4.9%. This entry was posted in Alberta Politics and tagged 2015 Alberta Progressive Conservative leadership race, Alison Redford, Big City Mayors, Calgary City Council, Don Iveson, Edmonton City Council, Marc Henry, Naheed Nenshi, ThinkHQ, Urban Alberta on March 28, 2014 by Dave Cournoyer. 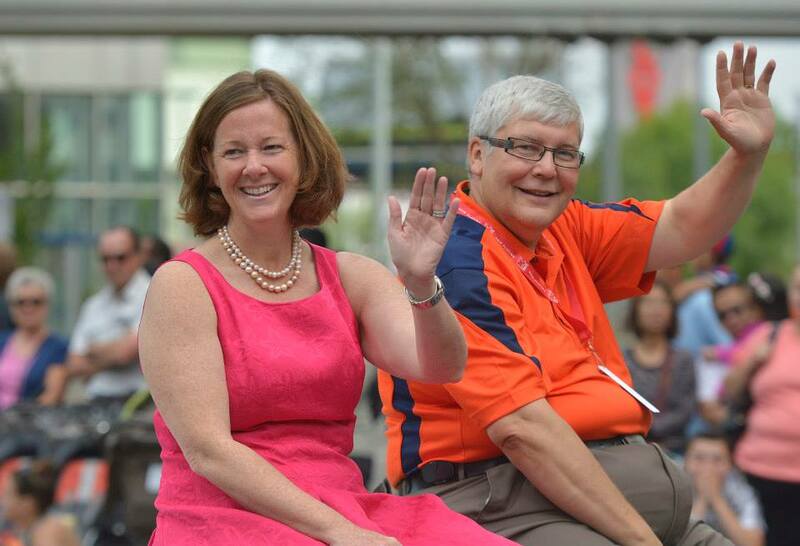 Outgoing Premier Alison Redford with incoming Premier Dave Hancock. 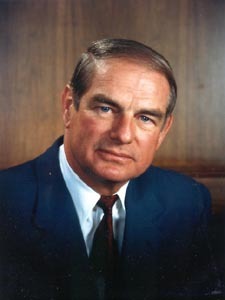 On March 20, 1989, Alberta’s Progressive Conservatives were re-elected with a majority government but Premier Don Getty was defeated by voters in his Edmonton-Whitemud constituency. It was a stunning embarrassment for the then 18-year governing PC Party. Twenty-five years later, on March 20, 2014, Alberta’s still-governing PCs selected Edmonton-Whitemud MLA Dave Hancock to serve as Premier of Alberta until a replacement could be chosen for the embattled departing Premier Alison Redford. Mr. Hancock was president of PC Party during the dying days of Mr. Getty’s premiership, when it appeared as though the Tories would be defeated by the Liberals led popular former mayor Laurence Decore. Mr. Hancock’s experience as party president during the early 1990s and his 43 years of involvement in the province’s natural governing party could help him calm the dissent in the unwieldy PC caucus. Facing increased pressure from the opposition Wildrose Party, the next four to six months will be an incredibly important time for the Tories, as the upcoming leadership race will define the PC Party in advance of a fast approaching 2016 election. The parallels between the early 1990s and today are not perfect, and perhaps not even fair, but they serve as a reminder about the ability of the PC Party to reinvent itself. Even at its most damaged and divided, as it appeared to be this week, the PC Party remains a political force to be reckoned with. Ms. Redford’s resignation has resulted in the departure of many of her senior staff from the Legislature. The now-former press secretary to the premier, Neala Barton, appears to have already landed a new communications job in Toronto with the scandal plagued Pan Am Games Committee. 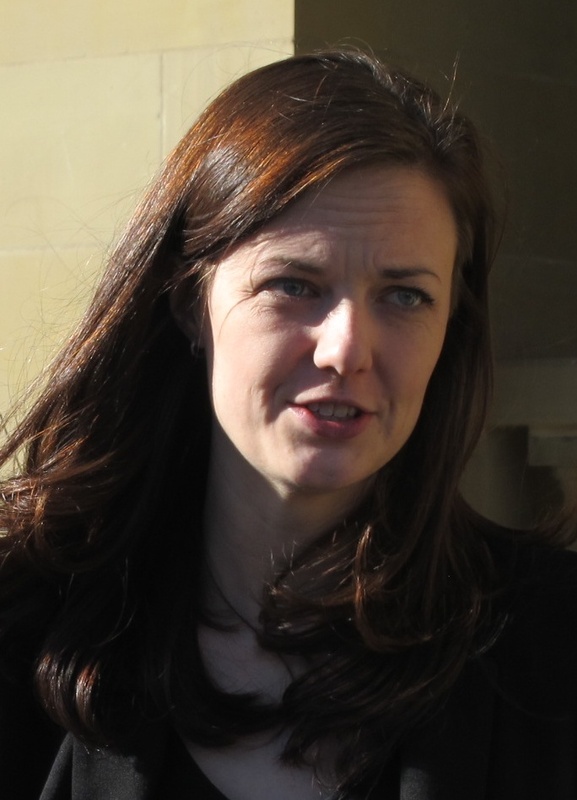 Before joining Ms. Redford’s staff last year, Ms. Barton had previously served as press secretary for Ontario Premier Dalton McGuinty. This entry was posted in 2015 Alberta PC Leadership Race, Alberta Politics and tagged 2015 Alberta Progressive Conservative leadership race, Alison Redford, Dalton McGuinty, Dave Hancock, Don Getty, Laurence Decore, Neala Barton, Premier of Alberta, Ralph Klein on March 21, 2014 by Dave Cournoyer. It was only a matter of time. Ruthless Tories force Redford to quit. 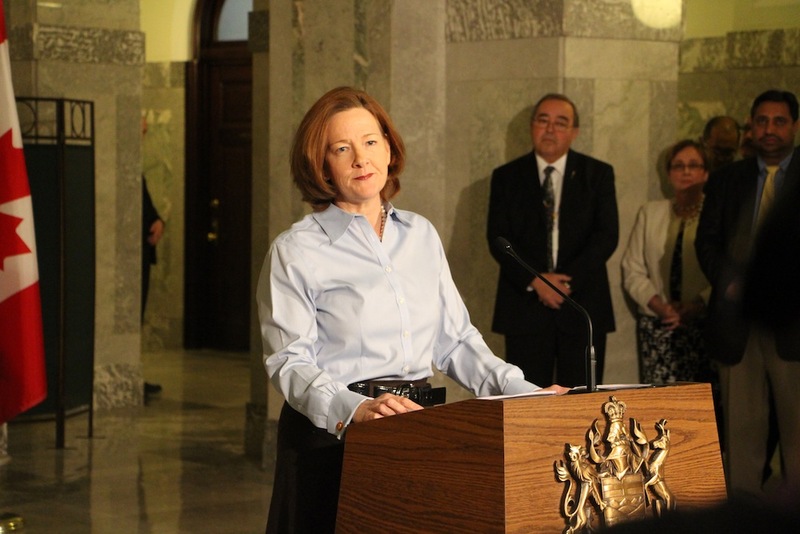 Alison Redford announces she will resign as Premier of Alberta on March 23, 2014. After a short 898 days as Premier of Alberta, Alison Redford announced today that she plans to resign as premier and leader of the Progressive Conservatives on Sunday, March 23, 2014. 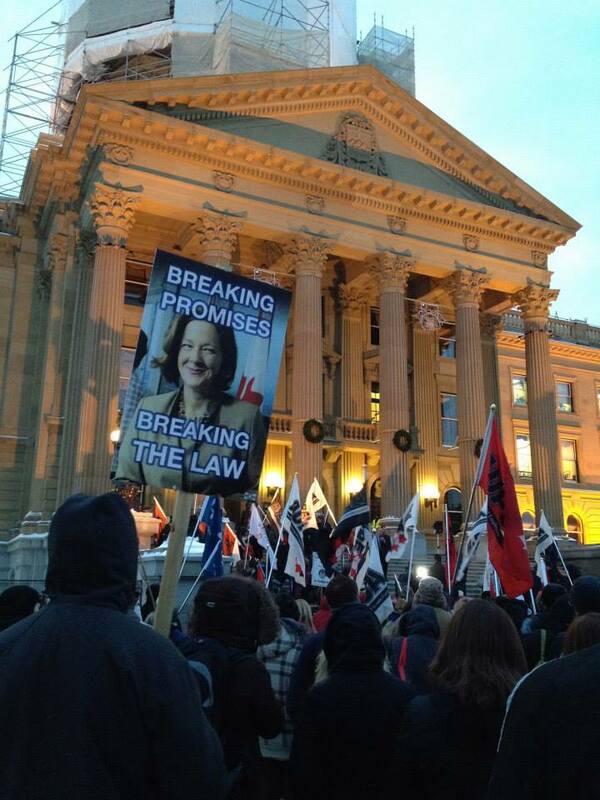 After facing months of controversy over travel expenses and weeks of turmoil in her caucus, Ms. Redford faced the prospects of an MLA revolt unless she took drastic action. With two recent MLA defections and indications that more were to come, it had become clear that Ms. Redford had lost control over her caucus, suggesting that her departure was imminent. Preferring international travel to the day to day business of governing, she faced internal criticism for being inaccessible to her party’s MLAs, many who felt completely disconnected from the business of governing. Many chalked it up to her having been appointed straight into cabinet when she was first elected as an MLA in 2008. Her departure is not unexpected, as the PC Party has proven itself ruthless towards leaders who threaten its chances of re-election. But while delivering her farewell speech in the Rotunda of the Legislative Assembly Building tonight, Ms. Redford was graceful in her departure. She looked and sounded like a Premier should. Many Albertans, myself included, had great hope for Ms. Redford when she was chosen as the leader of the PC Party in 2011. After forty years in power, Alberta’s natural governing party had grown stodgy and complacent. Casting herself as a progressive conservative in the mould of former premier Peter Lougheed, she attracted the support of many non-traditional PC supporters – liberals, moderates, trade unionists and even soft-New Democrats. And with the help of that new electoral coalition, Ms. Redford defeated the conservative Wildrose Party in our province’s most hotly contested election in memory. There was hope but Ms. Redford and her party were quick to disappoint. While the Redford Tories continued the smart infrastructure investments begun under previous premier Ed Stelmach, they quickly turned against many of the moderate voters who supported the party in 2012. Deep cuts to post-secondary education, cuts to supports for people with developmental disabilities, harsh anti-labour legislation, and drastic changes to pension plans have helped alienate many professionals and public sector workers who would have otherwise gladly continued to support her. Instead of being humbled by their near defeat in 2012, the PC Party has become more arrogant. After 43 years of power, they act as if they were invincible. The divided and disgruntled PC caucus will soon appoint an interim leader who will serve until the PC Party chooses their next leader in four to six months. The Alison Redford experiment has come to an ugly end and the natural governing party now faces the challenge of once again reinventing itself under a new leader. If the next leader succeeds to repair the aging institutional party, the PC dynasty may continue after the next election. If the next leader fails to convince Albertans that the PC Party is worthy of continuing to govern, it may fall in the next election. This entry was posted in Alberta Politics and tagged 2015 Alberta Progressive Conservative leadership race, Alison Redford, Ed Stelmach, PC leadership crisis, Peter Lougheed on March 20, 2014 by Dave Cournoyer.